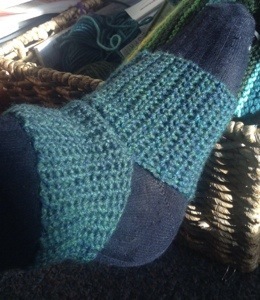 Feeling a bit restless again today, but managed to make myself finish these yoga socks, aka toeless heel-less socks. Crocheted with a 5mm hook and Schachenmayr Bravo left over from the first Wingspan. 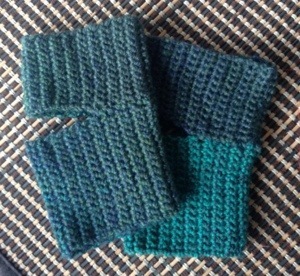 I knitted a couple pair of yoga socks and granddaughter (3 at the time) told me the socks were broken!